Have Questions About Your BMW Vehicle? Looking to learn more about your BMW vehicle and its features? Check out our series of how-to videos! “Refer to your owner’s manual.” This is a phrase many of us who own cars are all too familiar with. Yet while the owner’s manual has proved an indispensable utility for many drivers over the course of many years, it’s sadly become a bit outdated. Sure, it was useful when the most complex thing you had to look up in it was how to set the clock or change the radio presets in your car, but nowadays automotive technology and features are considerably more complex. Fortunately, here at Competition BMW of Smithtown, we understand that folks don’t want to spend time leafing through their owner’s manual to navigate and configure their vehicle’s systems. That’s why we’ve put together a helpful page of BMW How-To videos right here on our website. 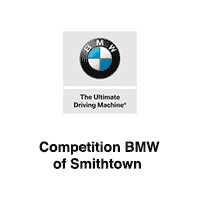 As a premier Long Island BMW dealer, we here at Competition BMW of Smithtown want all our customers to get the most out of their BMW vehicles, and that means understanding the ins-and-outs of all their various features. Whether you want to learn more about your BMW car’s Auto Start-Stop feature, want to know how to maximize your audio experience with BMW’s high-quality sound systems, or just want to know what all the little lights on your instrumentation mean, you’ll find a video that answers your questions quickly and comprehensively right on this page. Best of all, we’re constantly keeping this page updated, so you can rest assured that whenever BMW comes out with a new feature or model, you can check back to this page to learn more about it. So, whether you just got your BMW car or have been driving it for years, feel free to browse this page. Who knows, you might even learn about a feature that you didn’t know was equipped to your model. Alternatively, if you want a face-to-face tutorial on some the new BMW features shown on this page, don’t hesitate to visit us at Competition BMW of Smithtown to learn more from our experienced, friendly sales associates at our Smithtown, Long Island dealership at your earliest convenience.